Who was Allah before Muhammad declared him to be God? “In ancient Arabia, the sun-god was viewed as a female goddess and the moon as the male god. As has been pointed out by many scholars as Alfred Guilluame, the moon god was called by various names, one of which was Allah. (A Comprehensive Commentary on the Quran, Osnabrück: Otto Zeller Verlag, 1973, p.36). 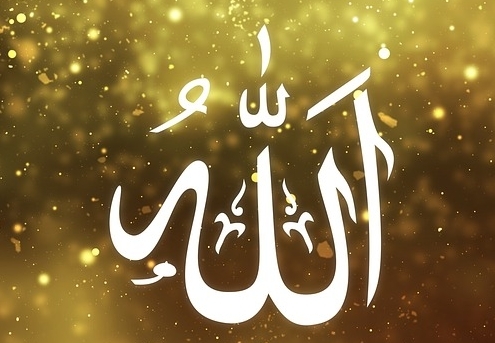 The Encyclopedia of Religion says: “‘Allah’ is a pre-Islamic name … corresponding to the Baylonian Bel (or Baal)” (ed. James Hastings, Edinburgh, T. & T. Clark, 1908, I:326). According to the Encyclopedia of Religion, Allah corresponded to the Babylonian god Baal, and Arabs knew of him long before Mohammed worshipped him as the supreme God. Before Islam the Arabs recognized many gods and goddesses, each tribe had their own deity. There were also nature deities. Allah was the god of the local Quraish tribe, which was Mohammed’s tribe before he brought Islam to lead his people out of their polytheism. Allah was then known as the Moon God, who had 3 daughters who were viewed as intercessors for the people into Allah. Their names were Al-Lat, Al-Uzza, and Al-Manat, which were three goddesses; the first two daughters of Allah had names which were feminine forms of Allah. Hubal was the chief God of the Kaaba among the other 360 deities. Hubal was a statue likeness of a man whose body was made of red precious stones whose arms were made of gold. (Reference Islam George Braswell Jr.). Muhammad said “I have fabricated things against God and have imputed to Him words which He has not spoken.” (Al-Tabari 6:111). It was Satan putting words in Mohammad’s mouth. Did Satan put Quran in his mouth? Who Is Isa And Who Is Yasuwa?